MANILA - Malacañang on Monday denied a report that President Rodrigo Duterte brought with him some 400 delegates in his trip to Israel. 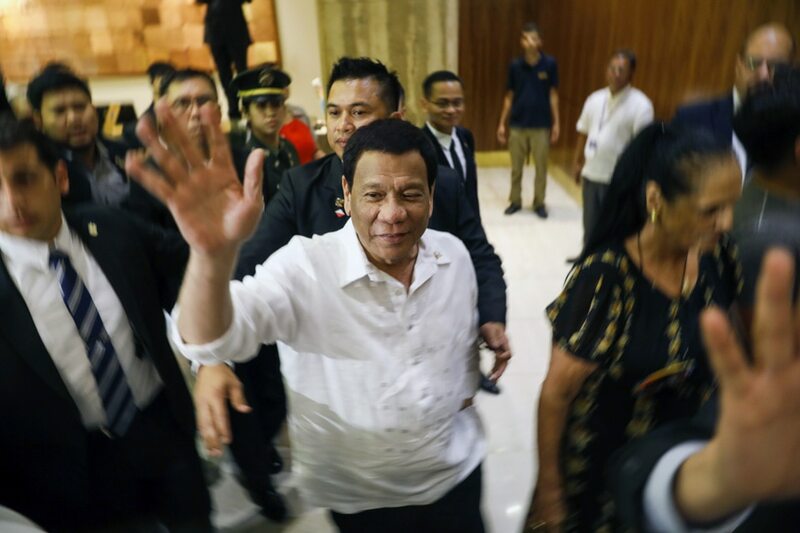 Israeli news reports say that the Philippine president brought with him some 400 delegates, including top Army and police officers. Presidential Spokesperson Harry Roque, however, said he does not know where this figure came from as the President only brought 46 official delegates. “I do know there’s a substantial business delegation of at least 150 who are all traveling on their own accounts,” Roque said in a statement. Duterte is currently in Israel for a four-day official visit. He is the first sitting Filipino president to set foot in the Jewish state since the two nations established diplomatic ties in 1957. Duterte is expected to meet with Israeli Prime Minister Benjamin Netanyahu and President Reuven Rivlin. The President is also expected to tour the Yad Vashem Holocaust memorial and museum, the Old City of Jerusalem, and the Open Doors monument. The monument commemorates the Philippines’ opening of its borders to Jews during the Holocaust. Duterte will also visit an Israeli military base to view advanced weapons and equipment. The President will witness the signing of various business deals and agreements on labor, science, and investment.